The support from the College Alumni is vital for the success of the concert! 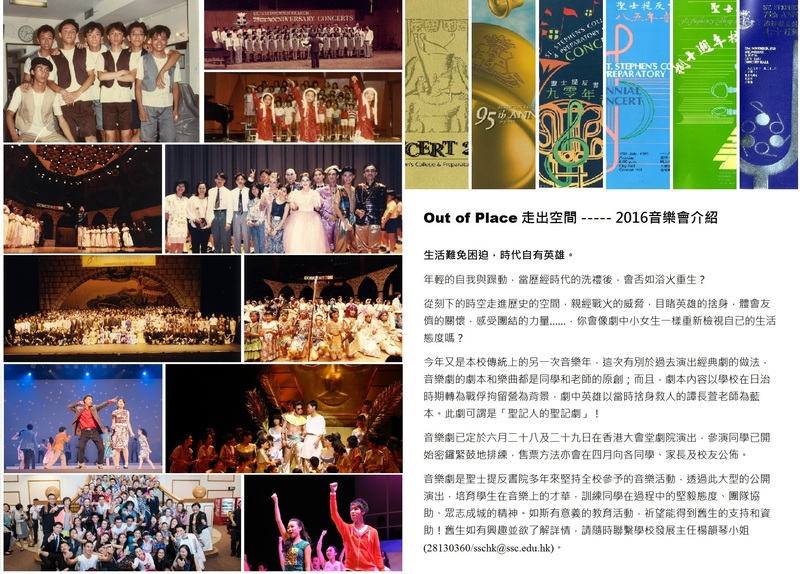 The production of the college musical “Out of Place” will be historically remarkable and extraordinary. This is the first time a student-led team composed an original script and arranged the score. There are 10 original musical numbers written by our own current students, alumni and the College’s Head of Music, Mr. Alex Yu. The musical aims to honour our school’s hero, Mr. Tam Cheung Huen, who was a teacher in St. Stephen’s College and had sacrificed his own life to protect our students from the Japanese troops in the Stanley Internment Camp (1942 – 1945). The support from the College Alumni is vital for the success of the concert. 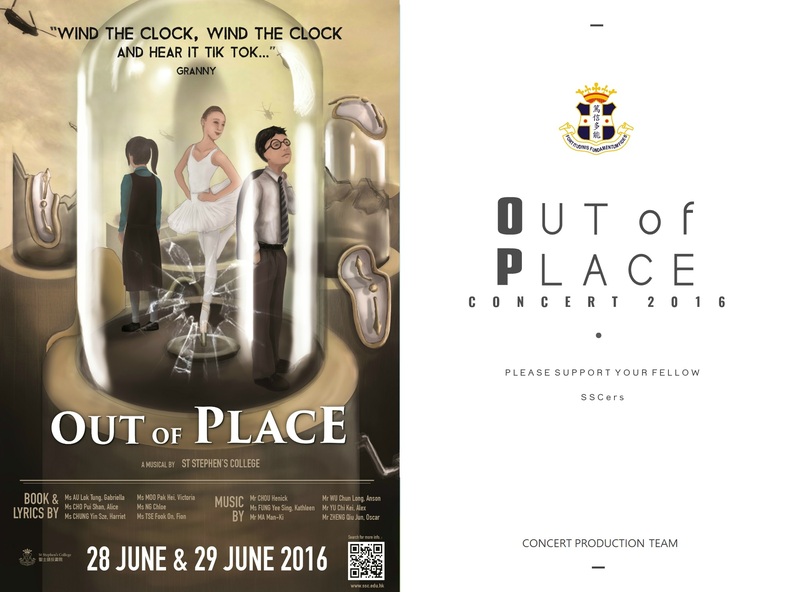 Please don’t hesitate to contact Mr. Chan Kwok Pui (Coordinator of the School Concert) for further enquiries. Thank you for your generous support!